"Did you know that the average office worker receives 121 emails per day!? Only a handful of them actually stand out." "Did you know that the average office worker receives 121 emails per day!? Only a handful of them actually stand out." Our inboxes are so jammed with electronic mail that snail mail is actually a thing again. That’s right. Direct mail via Canada Post in your actual real (physical) mailbox is the latest and greatest way to attract attention (assuming they aren’t on strike at the time). Why? Because we have become so accustomed to NOT receiving traditional mail that when we do open that little box and see a letter waiting we get pretty excited! In fact, we open it. 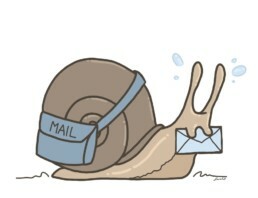 In the US, apparently the number of emails sent each day outnumbers snail mail by 81 to 1. WOW! Here’s a personal confession …. I never gave up on traditional mail, even when email became a thing. When I was a kid, I was conditioned to send thank-you notes and mail Christmas cards and birthday cards. It’s a practice I keep up. You have no idea how many people who have received one of my cards or letters in the mail then email me to say thanks for the thank-you card. Oh the irony! It’s reliable – most of the time the item does find its way to its intended recipient. Only 50% of snail mail is considered SPAM (compared to 80% of email). Handwritten snail mail is considered more personal. It’s not super secure and is somewhat untrustworthy. 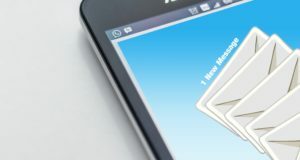 Whether it’s email or snail mail, there are 3 things you can do to stand out and increase your chances of having your message read: 1. Incorporate your personality into your writing. 2. Be conversational and casual. 3. Keep it short & sweet. If you have any other tips on how you make your messages standout over email or in hard copy format, I’d love to hear from you! For more tips, giggles and everything in between, click here. Using traditional mail to contact your representative provides them with a hard copy of your letter that they can hold in their hand and read. While emails are easily scanned and deleted, going through physical documents requires more time, thus increasing the chances that the representative will read your letter. Furthermore, older representatives (or staff members) who didn’t learn to use the Internet until later in life may be more comfortable reading a hard copy of your letter than they would be reading an email. On the other hand, former staffers tell us that snail mail is space consuming, time consuming to respond to and more likely to get lost in the shuffle. All valid points! There are so many pros and cons to consider when it comes to email vs. snail mail.